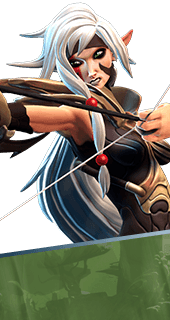 Archer's Boon is an Augment for the Hero Thorn in Battleborn. When Volley deals health damage to an enemy, a portion of Thorn's health is restored. +30% Life Steal. You cannot have both this augment and Kreshek's Rage. It's either one or the other.